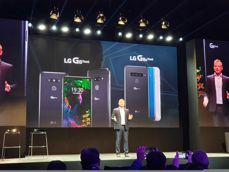 LG strongly emphasized the advantages of 5G - and of course presented a smartphone that supports fifth generation networks. 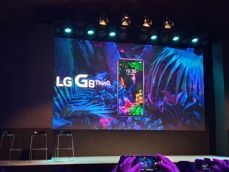 In addition to the V50 ThinQ 5G model it also presented the latest flagship, LG G8 ThinQ. 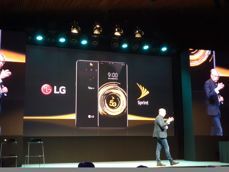 The LG conference, of course, started with 5G - this is clearly the theme of this year's MWC. 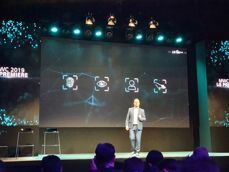 According to LG, the potential of this network will manifest itself primarily in technologies related to holograms, autonomous cars, video in 4K/8K quality, as well as AR and VR. 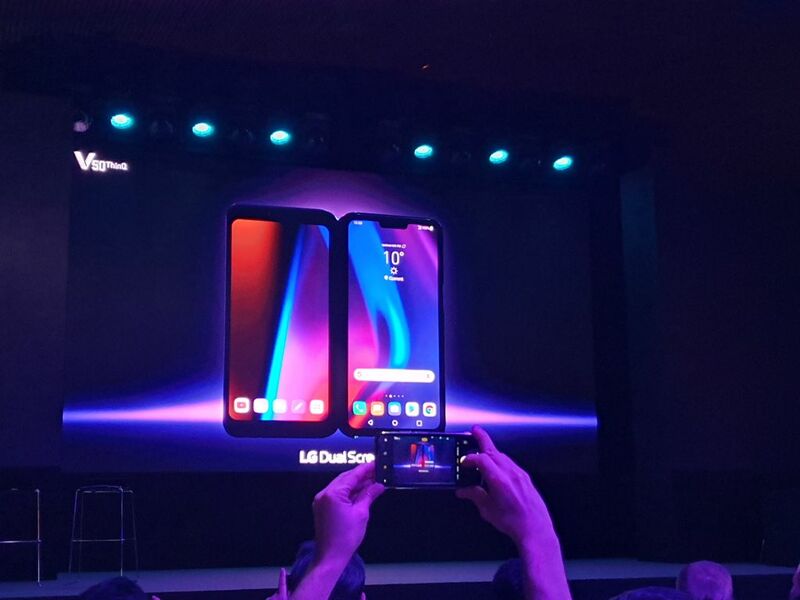 LG V50 ThinQ 5G appeared first - it is of course a smartphone that supports 5G networks, with the latest Qualcomm Snapdragon 855 processor with X50 5G modem and a specially optimized by LG software that allows you to get high computational power needed to support 5G technology. 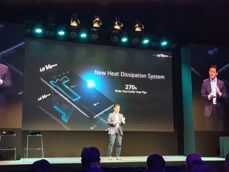 It also offers the Qualcomm Spectra ISP chip, AI technologies, improved photo features, better game performance and overall higher performance. And the smartphone itself has a 6.4-inch FullVision OLED display, with a notch at the top of the screen and a somewhat thicker bottom frame. DTS: X and 32-bit QuadDAC converter is responsible for the sound, the smartphone also supports Qualcomm aptX and aptX HD codec. 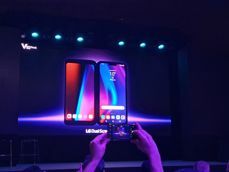 The LG Dual Screen technology was also presented - it is an additional screen attached through a suitable cover, which should give the impression of having a folded smartphone. 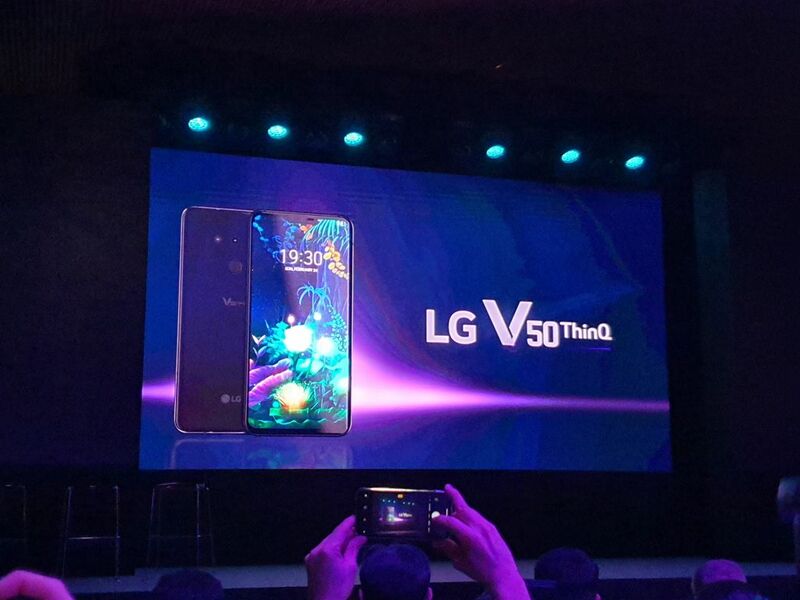 The additional screen is to be optional equipment of LG V50 ThinQ 5G. The additional screen module also has the function of a cover and allows the use of a second, 6.2-inch OLED display. What's more, the additional screen and smartphone display can be used independently. For example, users can watch a movie on one screen, and on the other, view information about it in the IMDb database. The 4000 mAh battery will charge with fast charging and better efficiency. 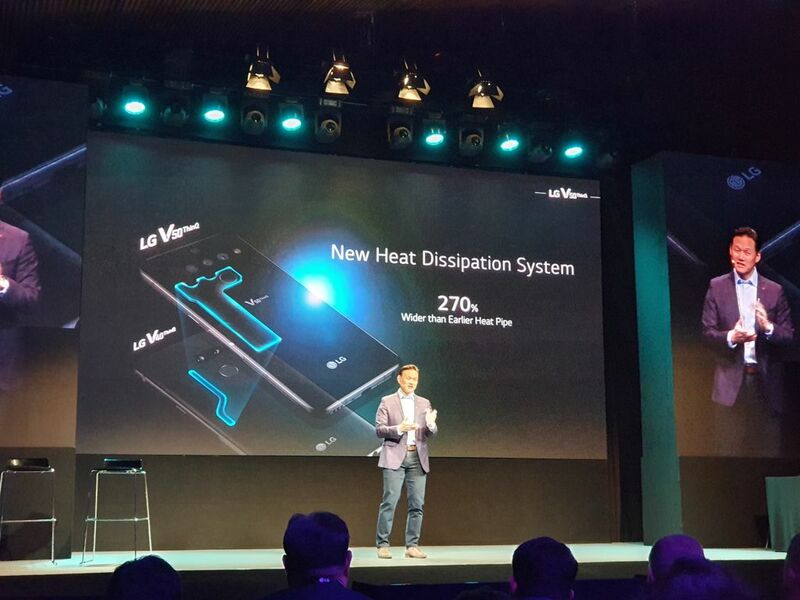 There is also a cooling chamber, similar to the V40 model, but 270% larger. 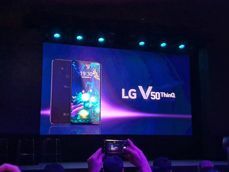 LG V50 ThinQ 5G, like the previous models in the V series, meets the requirements of US military standards MIL-STD 810G. 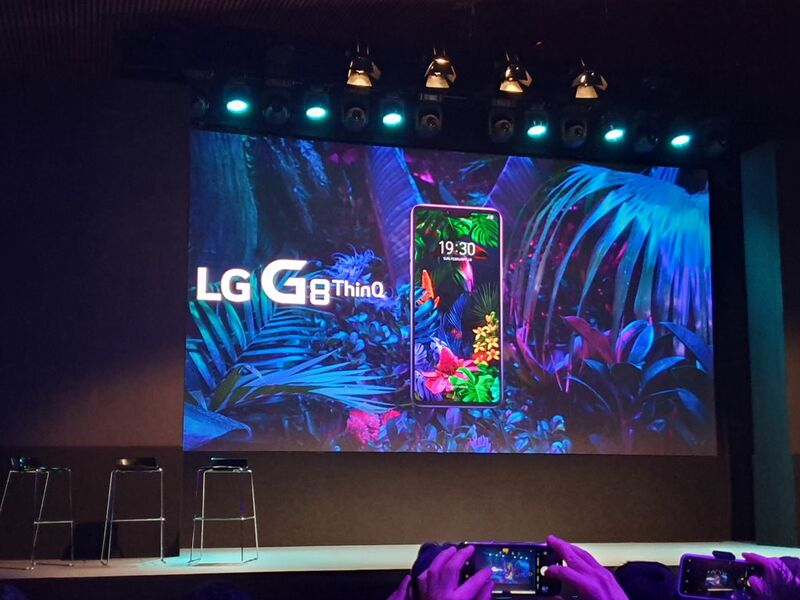 Then came the time for the flagship - LG G8 ThinQ. 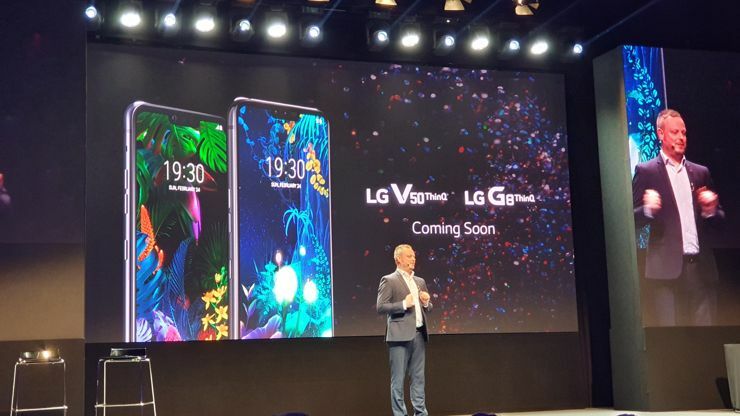 It is the first model in the G series, equipped with an OLED display. 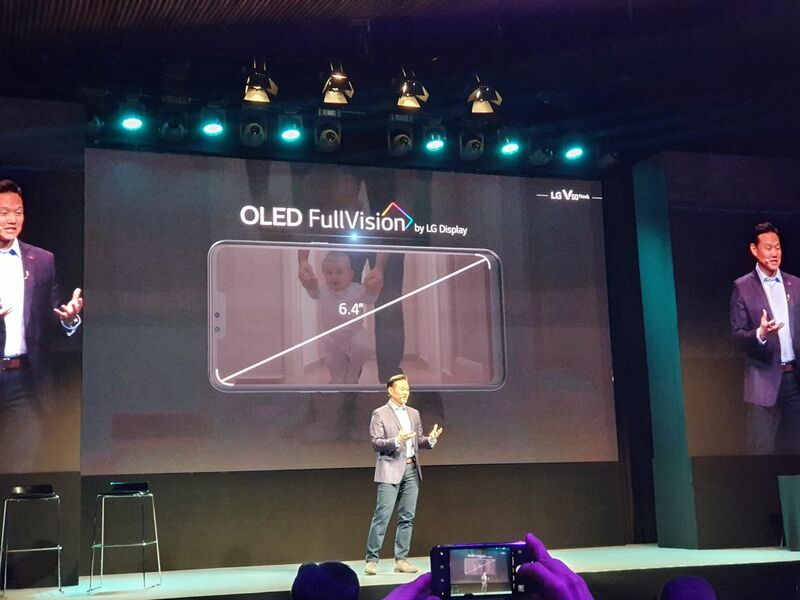 The large FullVision screen has a diagonal of 6.1 inches, an aspect ratio of 19.5: 9 and QHD+ resolution (3120 x 1440 pixels), which gives a pixel density of 564 ppi. 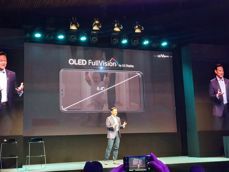 LG G8 ThinQ has been equipped with a Z Camera, with infrared sensor and ToF sensor, supplied by Infineon, so that the smartphone can recognize gestures from a distance of up to 15 cm. Air Motion gestures are associated with it, thanks to which you can wake up the phone, adjust the sound level or take a screenshot without touching the screen or buttons. You can even control the music player without touching it. LG also presented a new method of identification - Hand ID. 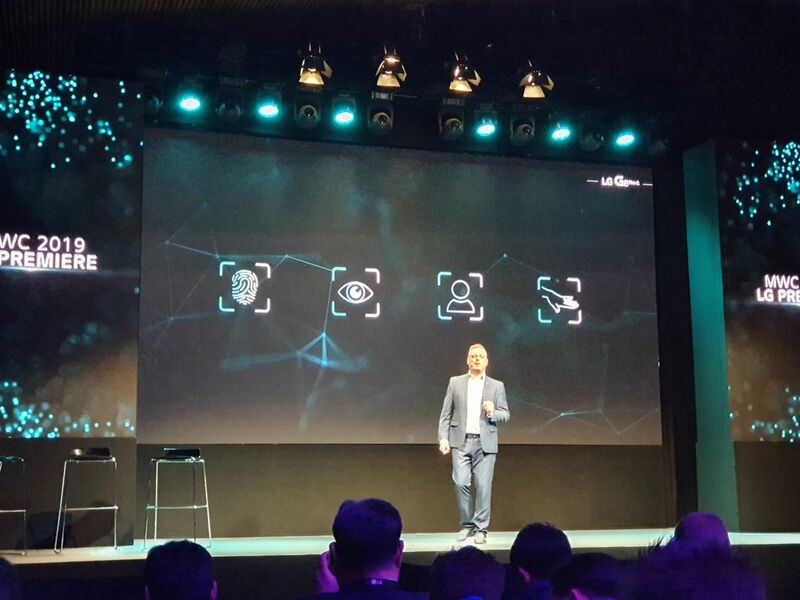 It is based on the detection and recognition of the unique structure of the blood vessels of the hands and, according to LG, is the safest biometric security. And you do not even have to touch the phone - just hold your hand over it. 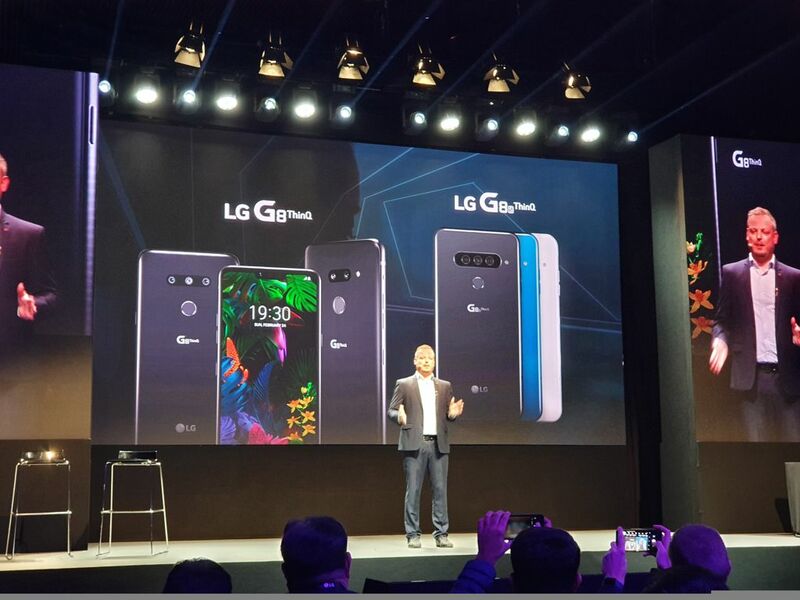 Another interesting thing about LG G8 ThinQ is related to sound. 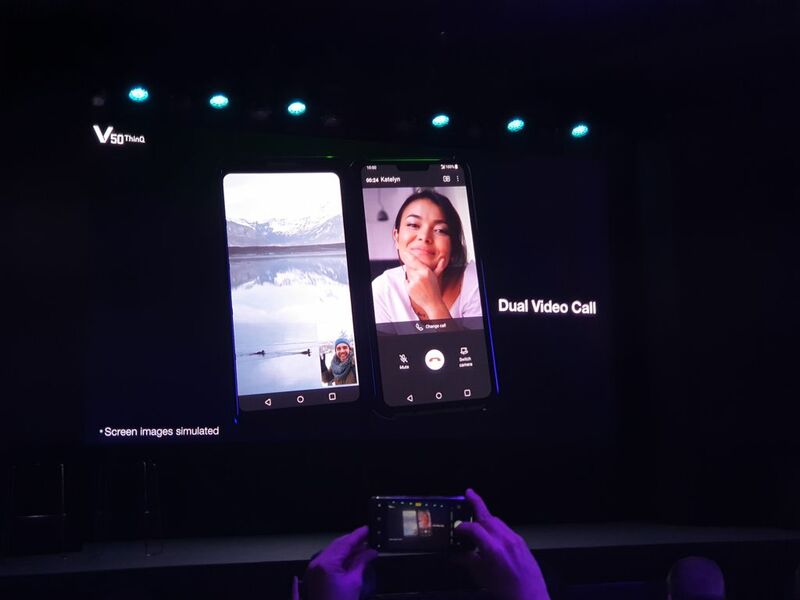 First of all, the whole screen is a loudspeaker, secondly the smartphone is equipped with DTS: X and 32-bit Quad DAC, and thirdly it has a headphone jack. Other producers remove the mini-jack from their flagships, so for LG it's more applauding that they are not chasing stupid trends. The smartphone also supports MQA (Master Quality Authenticated) technology, which enables the streaming of very high quality sound. Unfortunately, prices and dates of availability of the presented smartphones have not been specified. Source GSMchoice.com and the press kit; viewed: 151 times.